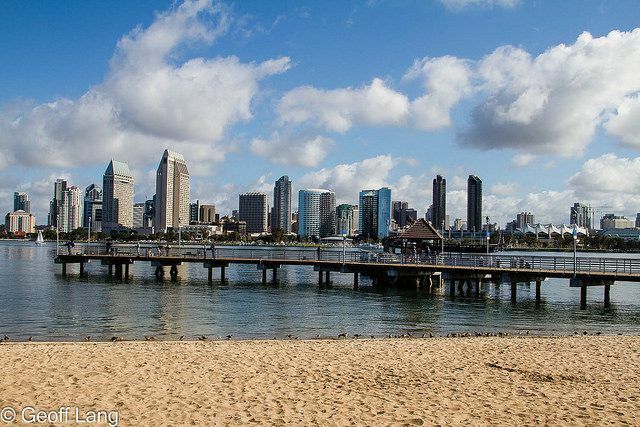 If you intend to buy a home in San Diego in 2019, now is the best time to start planning! 1. Consider your budget and research your payment options. Having a clear understanding of your budget and long-term financial goals will prevent disappointment and frustration once you start looking at homes. Don't forget to think about closing costs, moving costs, HOA fees, property taxes, incidentals, mortgage payments, etc. If you're paying all-cash: First, narrow down your price range. Then find out exactly what you need to do (and how long it takes) to make your purchase funds liquid. Talk to your financial advisor about your plans and make sure they align with your long-term investing strategy. If you're obtaining a loan: Look into your different financing options (you may have several to choose from, including jumbo, conventional, FHA, VA, etc.). What will my monthly payment look like? Talk to a reliable loan officer to find out what you can do to get the best loan program possible. And use this list of 14 Questions to Ask During Your Loan Pre-Approval Process as a guide. 2. Keep an eye on your credit score. A poor standing could impact your mortgage terms, leaving you with a higher-than-desirable interest rate. If you start paying attention now, there's time to improve deflated numbers, as well as correct any errors on your credit reports. Credit score, in conjunction with your debt-to-income ratio, are factors that lenders use to assess your ability to make payments and will directly affect your loan options in most cases. If you need a referral for a reliable loan officer who can help you with this, ask an experienced buyer’s agent (like me) for a tip. 3. Work with people you trust. The professionals you choose to work with can make or break your home-buying experience. It may take a few interviews, but the time spent searching will pay off. It's crucial to find a buyer's agent (I recommend using an exclusive buyer's agent, and here's why) AND a loan officer who are willing to take the time to discuss the process in-depth with you and figure out a strategy that fits your specific needs, budget, and goals. Also Read: When Is the Right Time to Hire a Buyer's Agent? Read a book. Research home-buying articles online. Check out the Resources section of this website for many helpful articles on an array of home-buying-related topics. And find an exclusive buyer’s agent who has a passion for teaching. When you find a good resource, ask a lot of questions. The more you prepare, the better-equipped you’ll be for your home-purchase journey. 5. Research your specific market. The San Diego housing market has seen a mix of both buyer’s and seller’s markets over the past couple years, so it's important for you to understand the market conditions in the specific area(s) you’re interested in. To learn more about San Diego's current real estate market, read Is San Diego a Buyer's Market or Seller's Market? Knowing whether you're likely to face low inventory and stiff competition (or the other way around) can help you set realistic expectations for your home-buying process. If you decide to interview me as your exclusive buyer's agent (which is a good first step), we will schedule a <="" span="" style="font-size: 14pt;">Globella Buyer Strategy Session to meet in person and go into greater detail about the current state of the market in your desired area, as well as your ideal price range and type of home. If you're still considering whether or not you should buy a home in 2019, read When Is the Right Time to Buy a Home in San Diego? to help make your decision! Call or email me today to schedule your complimentary Buyer Strategy Session/Interview. Justin Gramm is the founder and principal broker of Globella Buyers Realty, your San Diego Exclusive Buyer Brokerage. Exclusive Buyer Agents do not list homes for sale and never represent sellers. They have no "inventory" to try to sell you. They can represent you in purchasing any home. They are specialists at representing buyers only on the buyers' side of the transaction. Exclusive Buyer Agents work to get buyers the best price and terms when they buy a home. If you have excellent credit and plan to buy a home or condo in San Diego County within 90 days, contact Justin Gramm to hire an agent on your side of the transaction. More about Justin Gramm on Google+. Call Justin at (858) 437-2662 or E-mail.